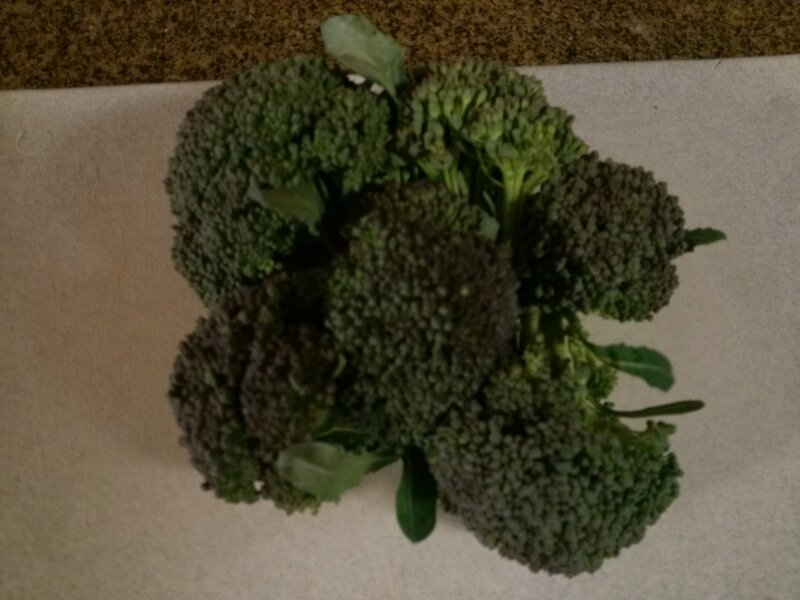 On January 2, 2013, I harvested a small amount of broccoli from the garden (picture to left, top). 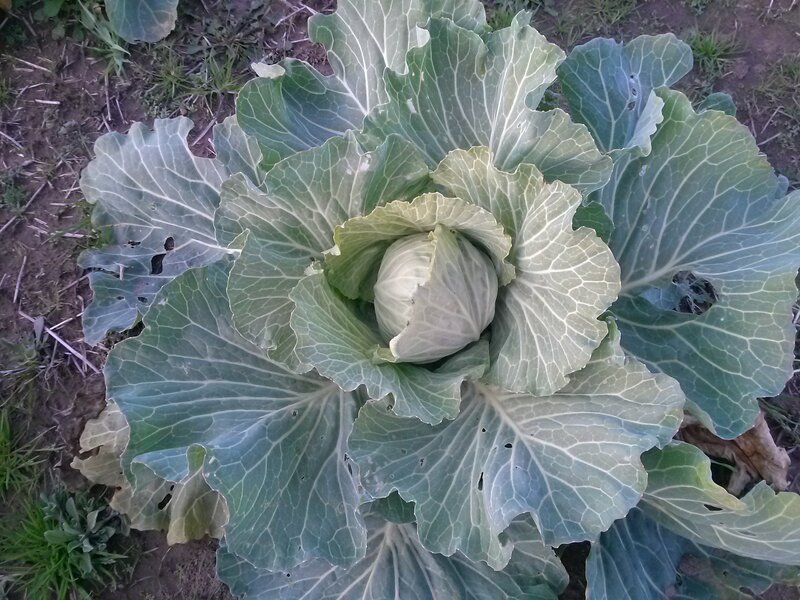 The cauliflower was still very small on the plants (about the size of a large marble), and the cabbage appeared to be within two weeks of harvesting. morning (unusual, even for January) and it will be closer to 15 by tomorrow (Tuesday, January 7, 2013) morning. 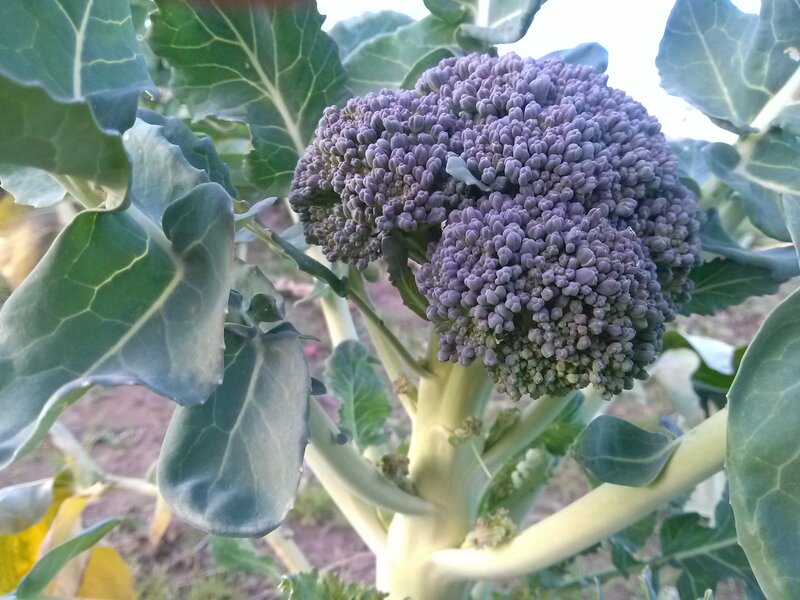 On October 19, 2013, small broccoli, cabbage and cauliflower plants were transplanted into the garden in October. 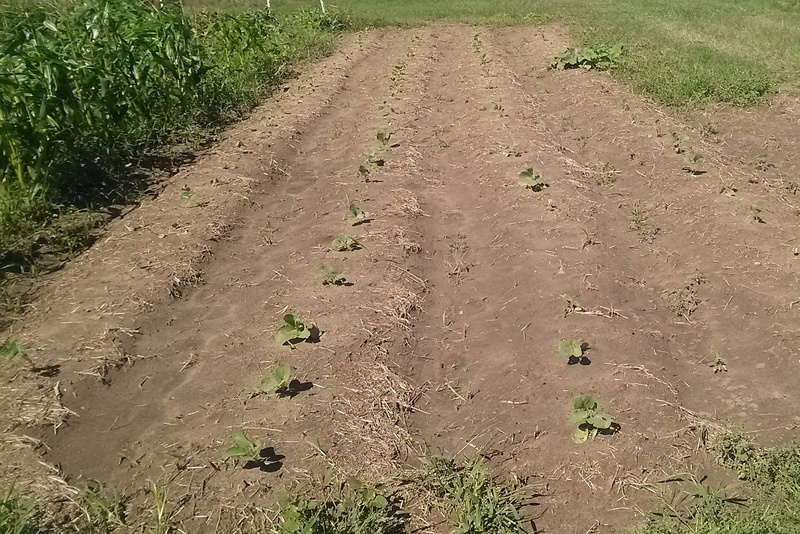 Four rows were planted (from left to right, picture to left); broccoli (Waltham), cabbage (Copenhagen), cabbage (Early Jersey Wakefield), and cauliflower (Snow Ball). Notice also — the corn plants on the far left of the picture. around mid-September. Time from planting to harvesting for all the transplanted plants is 75 to 95 days. To avoid the really cold weather (hard freezes) that slow plant growth, we usually plant to begin harvesting around December 1 (75 days before December 1 is about September 15.) This year, however, the excess moisture from late Summer and early Fall left the garden soil too muddy to work until October. 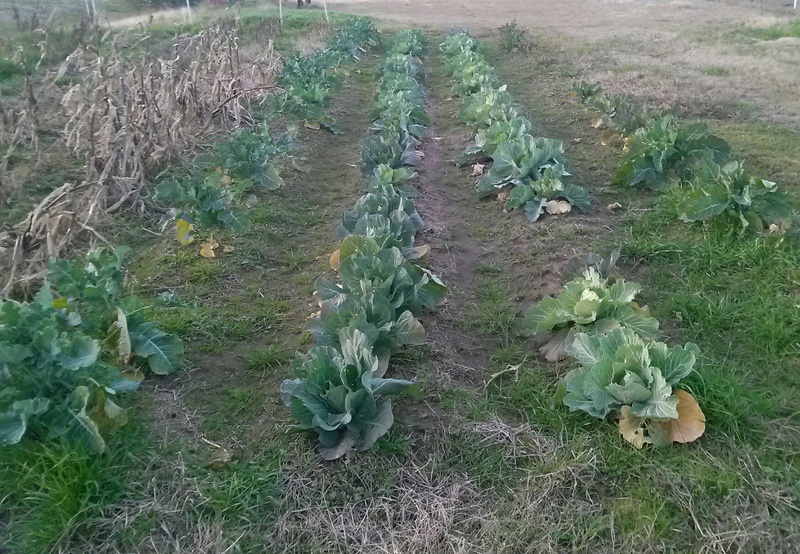 Finally, a few pictures of the broccoli growing on the plants ( to left) and a cabbage plant (bottom).